We are located near Highway 20 and we are 30 minutes from Montreal. 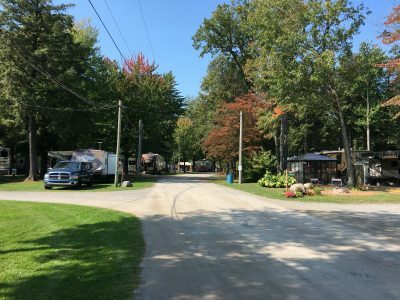 Camping St-Polycarpe offers a relaxing getaway surrounded by nature. We offer plenty of activities for the entire family, we have a many different play areas and structures, 2 pools, an amazing beach, small lake, restaurant and convenience store, and a huge variety of organized activities for the entire family. Our campsites are spacious and we have weekender and seasonal campistes available. Please call us at 450-265-3815 to reserve your campsite today! Click here to see the many amenities we have to offfer!